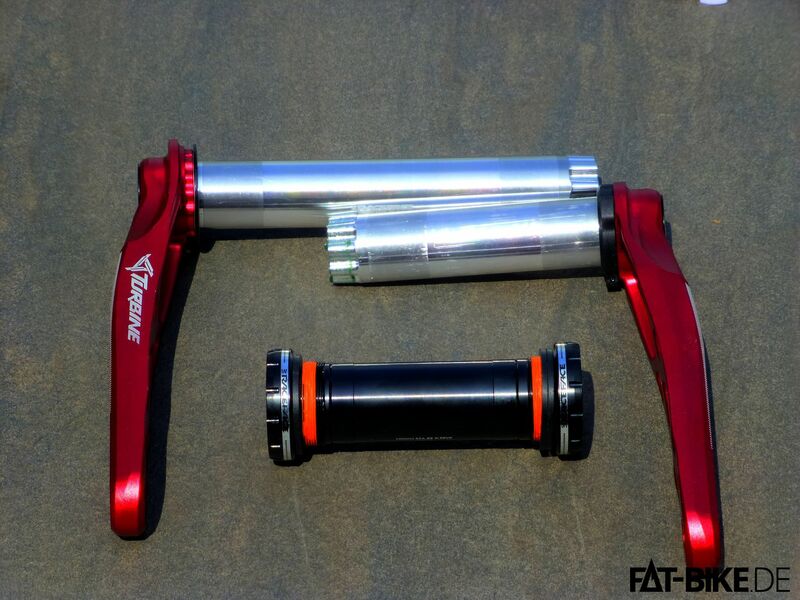 FATBike Cranks. We tell you the basics. 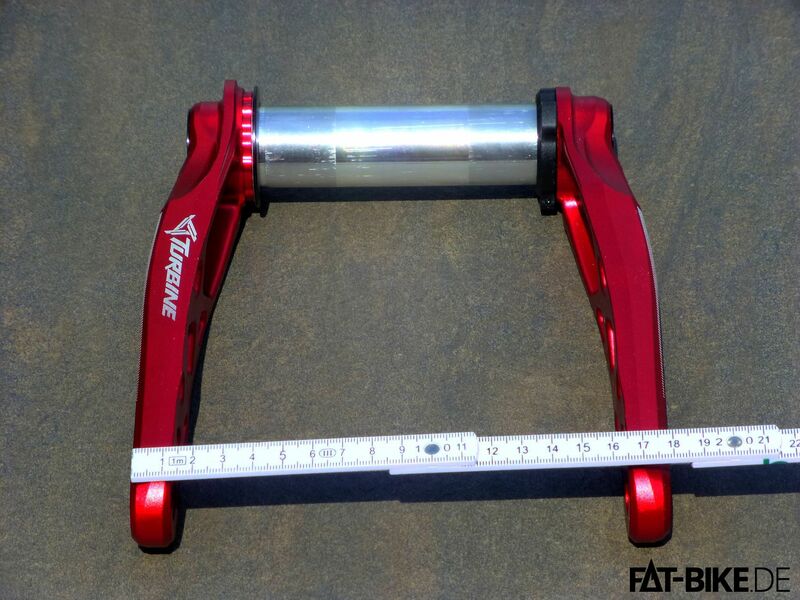 FATBike Cranks are an extensive topic… Time to have a closer look. We split it into two articles: today we’re gonna have a look into some crazy basics. 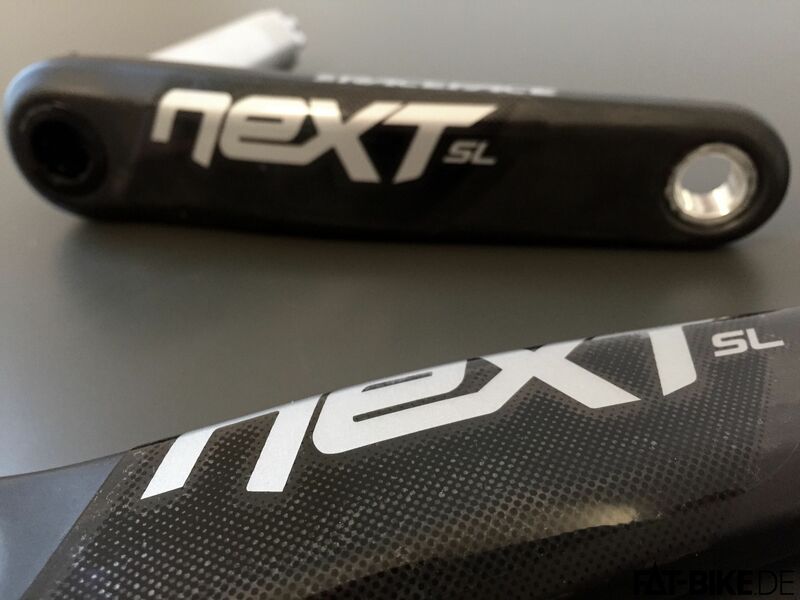 Wheras next time we will guide you through a practical case by installing the – according to what we know – most flexible FATBike Cranks kit on the planet: the Next SL Cranks made by Canadian godfathers of bike components Race Face. Some soft start. 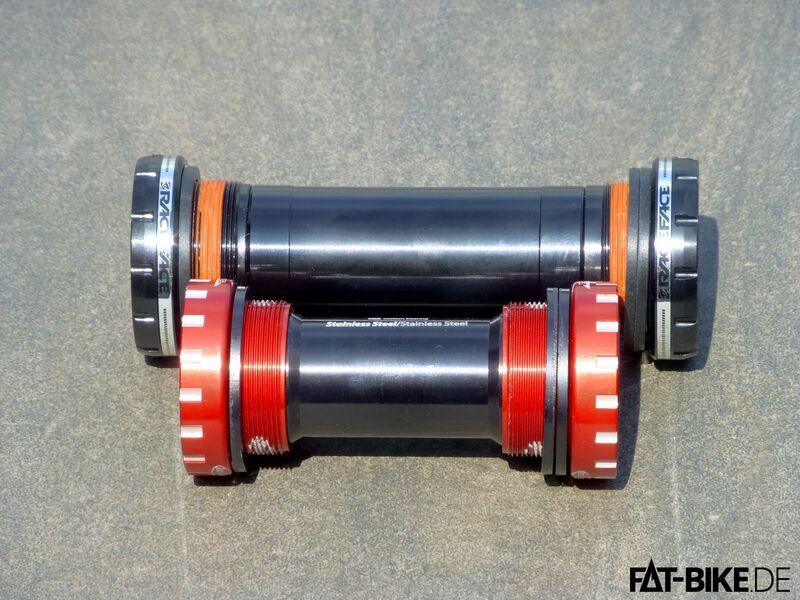 Bottom bracket sizes. Size doesn’t matter? Dream on! The crank case on your old mountainbike comes with either 68 or 73 millimeters width. Sweet. But for some serious FATBike cranks by far too narrow! 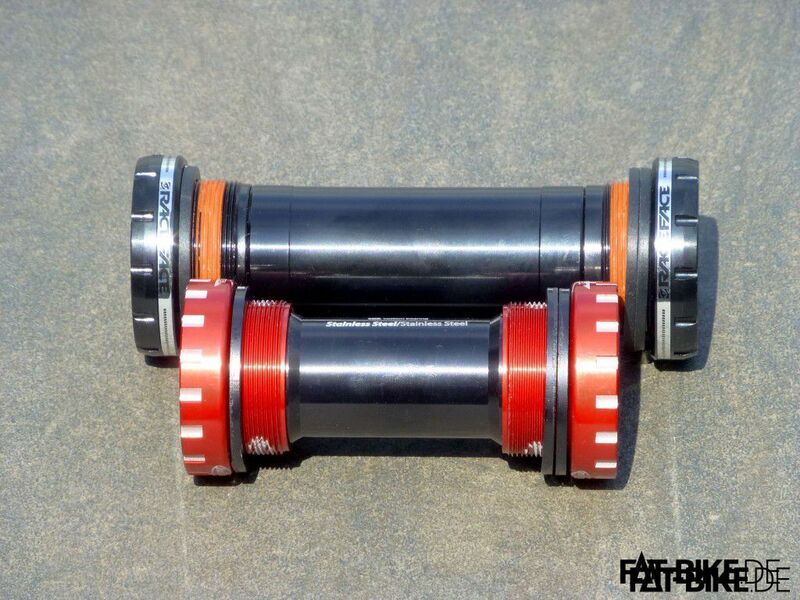 To place the bearings near to the end of a 170 or even 190 millimeter axle 100 millimeter bottom bracket were introduced. Today they are common on FATBikes however, some frames that are optimized on 4.0 inch tires feature 80 millimeter crank cases. Another odd name but a nice thing: the Q-factor expresses the distance between your cranks. It’s measured from outside to outside at the pedal threads. Simply said: it gives you an idea of the lateral distance between your feet. 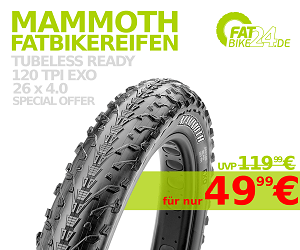 Nowadays FATBikes Q-factors around 200 to 230 millimeters are common. Getting more tricky: hands up if you know what an offset is! FATBike versus Mountainbike. Size DOES matter! Time for some show off knowledge! The offset truly is a relict of the good old FATBikes times when expeditions and extreme weather conditions were driving developments. This was when not only the 135 millimeter front hub standard (you find some more information here – sorry, German only) was established but also asymmetric frames were intruduced. This leads us to solution #2: truing the wheel with the hub shifted a few centimeters to the right. This pushes your sprockets to the outside, in turns giving more clearance to the chain. However in an asymmetric rear wheel the tire will not be aligned with frame and front wheel: it would be too far left. To correct this malposition, the entire rear end was pushed to the right – at 28 millimeters to be precise in order to fit a 4.8 inch tire. So the tire was back in line with the frame and the offset was born. Awesome, eh? So the offset frame compensates for the asymmetric wheel. So, this worked well but looked truly odd. Symmetry is clearly the prettier concept. Let’s do some mental arithmetics for bike nerds. To get the left dropout back to where it was you have to extend the hub by 28 millimeters and push the left dropout back. Better, but still not great. To have your frame symmetric the left dropout has to be located 28 millimeters more left than original. So bend the rear end up even further and add another 28 millimeters to the hub. 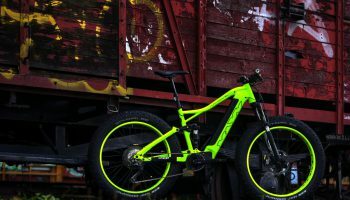 Now, both drop outs are 28 millimeters further away from the middle compared to your mountainbike AND the hub is roughly 190 millimeters wide. 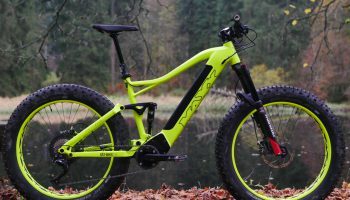 This means the 28 millimeters offset featured by some classical FATBike frames „simulates“ a modern 190 millimeter hub – the sprocket is exactly at the same position. Magic! This calculation of course works out well on 4.0 inch tired. They are 0.8 inches – 2 centimeter – less wide than a 4.8 version. This cuts clearence requirements by 1 centimeter per side. So accordingly the hub can be shorter. Good reason why 170 hubs are very common on 4.0 inch tire FATBikes. Thanks to 170/190 millimeter hubs the offset is outdated. 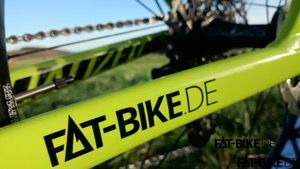 As modern frames, just like the ones of our FatBoys, are based on such hubs and therefore build symmetrically the offset is technically is no longer required. Distance drop out to middle of sprocket: 23mm. My russian caliper never lies! Chain line simply says whether chainrings and sprockets are correctly aligned. Ideally they are, so the chain will not be exposed to any lateral force. That is pretty easy on a single speed bike. However it becomes tricky when a shift kit comes into play. Here the target is to align the middle of the (one, two or three) chainrings and the middle of the rear sprockets. If that is achieved wear and shifting performance should be ideal. But why should you know about this? It never was of much interest on a MTB either. Well, on FATBikes you have a variety of rear end widths and FATBike crank systems featuring different axles and chainring setups. So it IS worth to take a close look. Particularely in case you plan to buy a new set of FATBike crank. Just like we do. A bit of theory: chain line can be calculated. Don’t have to. But it helps! To do so you choose the hub rather then the crankset. Reason is simple: the hub gives you no influence on the positioning of the sprocket. It is where it is. Bottom bracket and cranks can be adjusted. So you calculate the hub and fit the crankset to the value. By the way „chain line“ is measured from the hub center and middle of bottom bracket, respectively. 1) Determine middle of hub: devide length of axle 190 by 2. Equals 95mm. 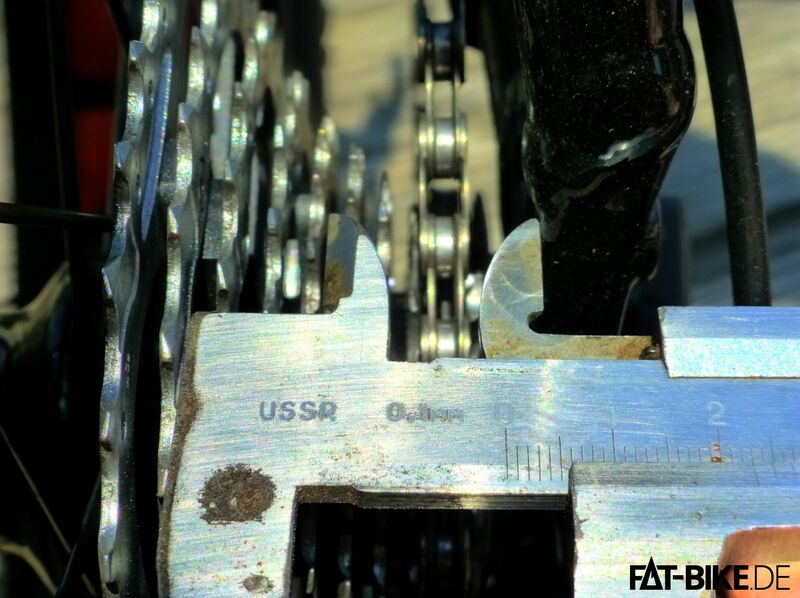 Ideally you would now fit a FATBike crank that also features a 72 millimeter chainline. However in real life a slightly higher value is more common in order to supply more clearance for front derailleur movement. Moreover this reflects the fact that in most common everyday use the chain will rather be on the more right (bigger) chainrings. 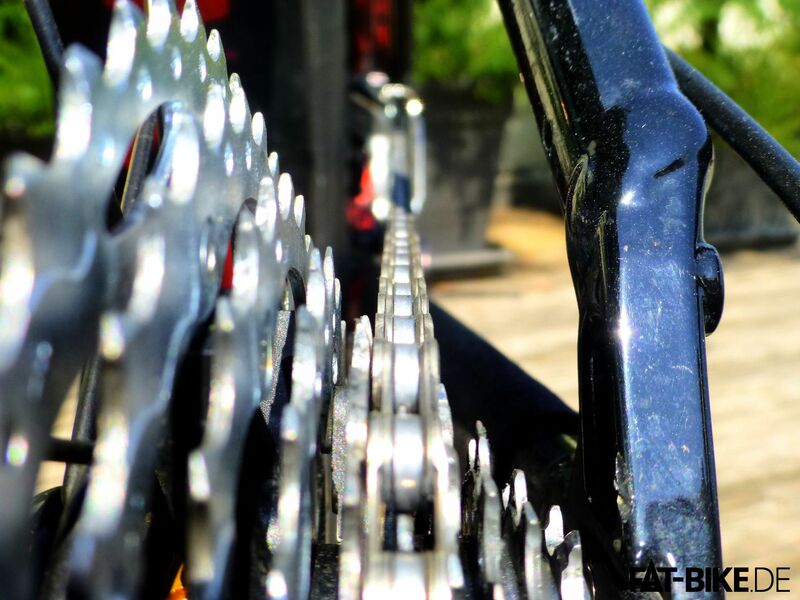 A higher value for the crank’s chain line reduces wear. 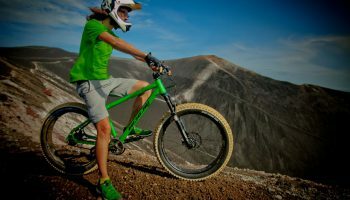 To avoid nasty calculation one may consider the following rule of thumb: FATBikes with 190 millimeter rear end usually feature a chainline around 75 millimeter whereas 170 rear ends naturally come with 65 millimeters. 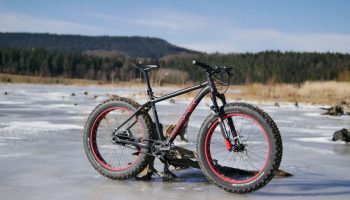 Race Face Next SL – the Swiss Army Knife for you (FAT)Bike! Sizes, chain line, Q-faktor… For us rather nasty stuff. But it’s not the worst idea to have an idea of how this stuff works. Wrong parts are quickly bought and guarantee for frustrating moments in the shop. Better make sure all parts fit well – it keeps wear low and shift performance high. So in the end you get what you want: a smooth and nice ride! Click here for the second part of this article! FATBike Streetrace: Abenteuer im Großstadt-Dschungel!